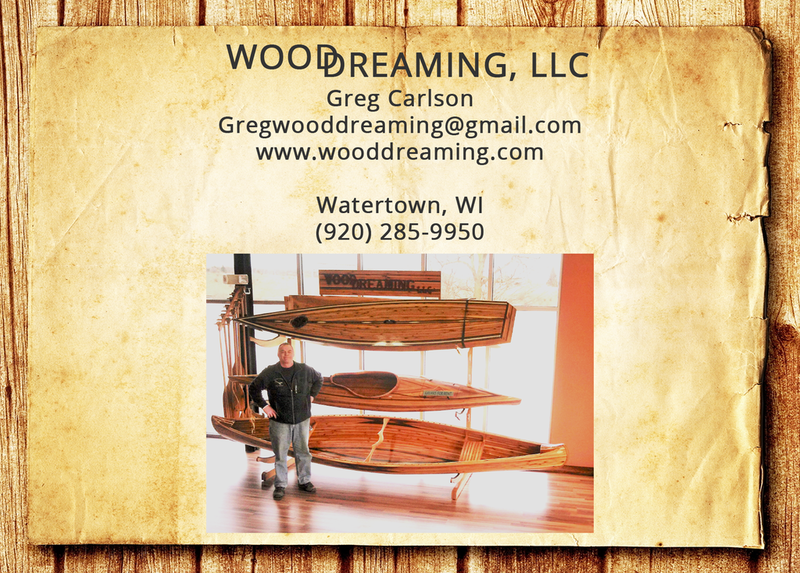 My name is Greg Carlson, founder of WoodDreaming. 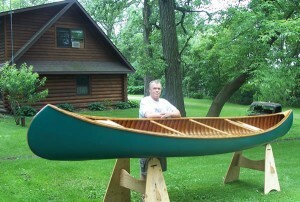 After years of high-end carpentry and watercraft experience, I built my own canoe and kayak in 2005. 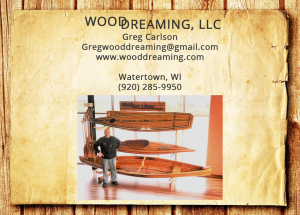 I fell in love with the craft and have been building and customizing to create individually crafted, lightweight canoes and kayaks as well as specialty custom woodworking projects. All the water crafts work wonderfully and very naturally in the water with the added benefit of looking beautiful displayed in your home, office, cabin or garage. I hope you enjoy the pleasures of my water crafts and accessories as much as I enjoy creating them. The canoes in this picture is an Old Town canoe, from 1946 that I restored for the original owner. Be sure and check out my custom projects page. I also have a passion for the challenge of making unique – one of a kind furnishings. © 2012 WoodDreaming. All rights reserved. Web: Clint Carlson Productions LLC.